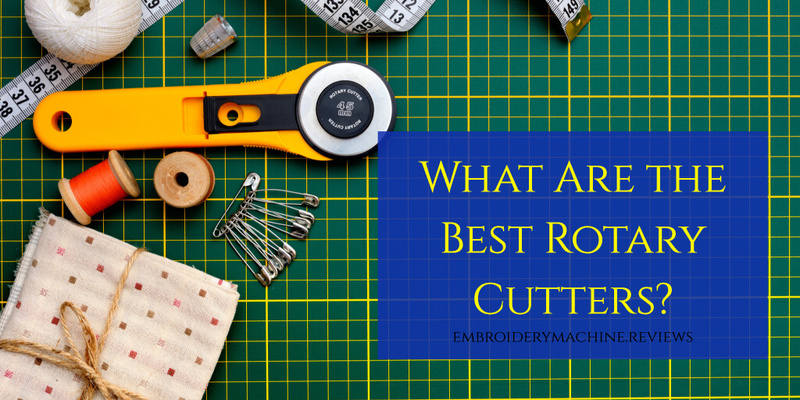 What Are the Best Rotary Fabric Cutters? A rotary fabric cutter is pretty much an essential in any fabric crafter’s kit, allowing you to easily cut patterns and shapes from fabric. A rotary cutter features a circular, top-mounted blade, rather like a pizza cutter, which is placed directly onto the fabric. (Make sure your fabric is on top of a good-quality cutting mat!) The user then guides the cutter using the handle, effortlessly cutting circles, arcs, and intricate shapes, which would be clumsy and complicated to manage with scissors. If you are left-handed, make sure you purchase a rotary cutter that is designed for left-handed use, otherwise the blade will obscure the line of your cut, meaning you won’t easily be able to see if you need to correct your course. Fortunately, there are plenty of left-handed rotary cutters available, alongside the right-handed variant. This is an ergonomic rotary cutter, suitable for use by both left and right-handed individuals. The blade is sharp, and cuts midweight and thin fabric easily and cleanly. However, the blade does have a tendency to come loose. This is an affordable rotary cutter, and would be a good purchase as a back up. The issues with the blade make it a little unsuited to regular use. This is an easy to use rotary cutter that is suitable for either left or right-handed individuals. Its small design makes it ideal for smaller pieces of fabric, and for cutting tight corners and curves. This would be an ideal addition to the craft box of someone who makes toys, allowing for greater flexibility in patterning, and thus a broader range of finished product. This rotary cutter would not suit larger projects, as its size would limit its performance. An affordable rotary cutter that is ideal for those working mostly or exclusively on smaller projects, who would value the flexibility this cutter offers. 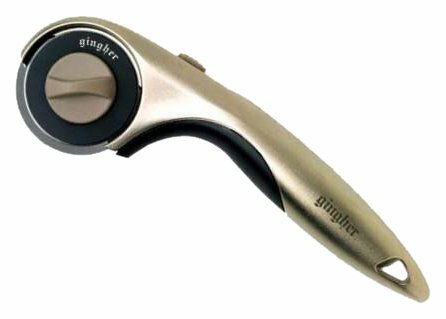 While this cutter is clearly not suitable for those who are left-handed, Gingher does offer a left-handed version of the same product. This is a sturdy, sharp rotary cutter that can handle all types and thicknesses of fabric with ease. Its price does reflect its quality, but the brand has a solid reputation in the craft and sewing community, so you are definitely making a good investment purchase that will more than pay for itself over time. Higher priced than other rotary fabric cutters, but you definitely get what you pay for. This is an affordable, quality rotary cutter that can cut through multiple layers of fabric at once, making it ideal for crafters working in volume. It is designed for right-handed use, and features a dual action safety lock, giving you peace of mind if your crafting space is shared with children. This is a well-designed rotary fabric cutter that would be an ideal and affordable addition to almost any craft box. If you’re right-handed, this rotary cutter could be exactly what you need in your craft box, especially if being able to cut through multiple layers of fabric simultaneously is something that would save you time, and make your life easier overall. While this is marketed as an ambidextrous rotary cutter, it is not comfortable to use if you are left-handed. It is also not particularly ergonomic for men, or those with very large hands. However, if you are working with thin fabric, it can cut up to 16 layers of fabric at once, and offers the flexibility to truly come into its own on small projects, giving a clean cut even in tight patterns. It also features a plastic safety shield, for added peace of mind. 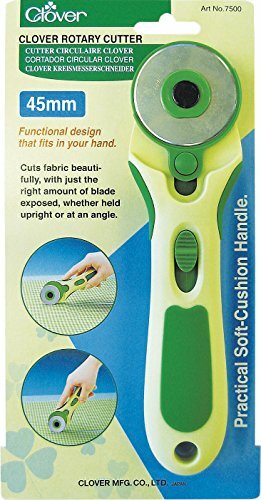 If you are a right-handed person with average or small hands, this is an affordable and versatile rotary cutter that will be the perfect addition to your sewing kit.